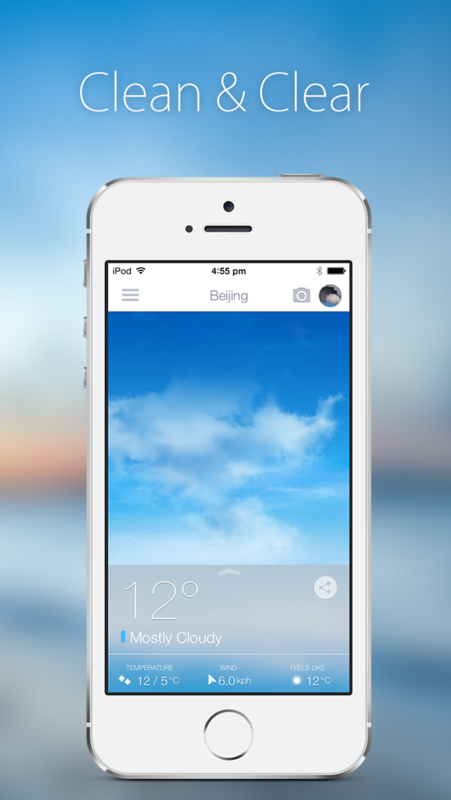 MoWeather may be the best weather app in store 2014? Check it out in App Store. You tell us! 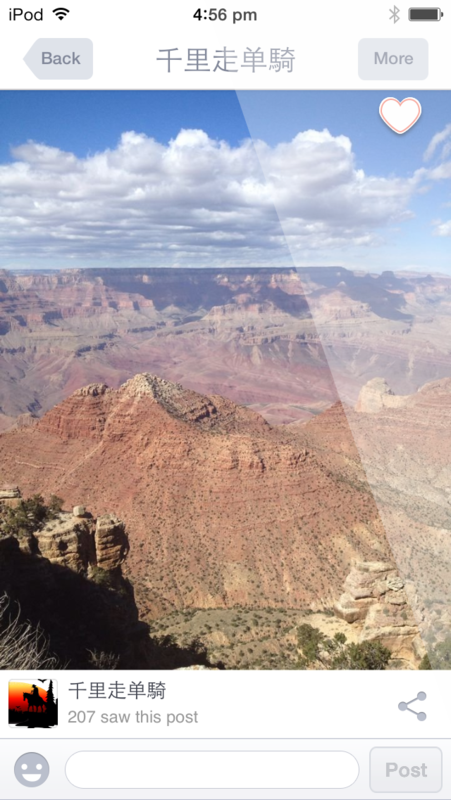 - Experience the weather like never before. - Enjoy the comfort from latest accurate forecasts. - Plan your personal/business life better. - Catch beautiful moments at your location. - Share your discovery journal with the world. - Explore new dimension from people live in the same city. - Give a like on the picture you like. - Shorten the distance with your favorite cities.
? Simplified setting and neat layout.
? Auto refresh 15-day forecasts.
? 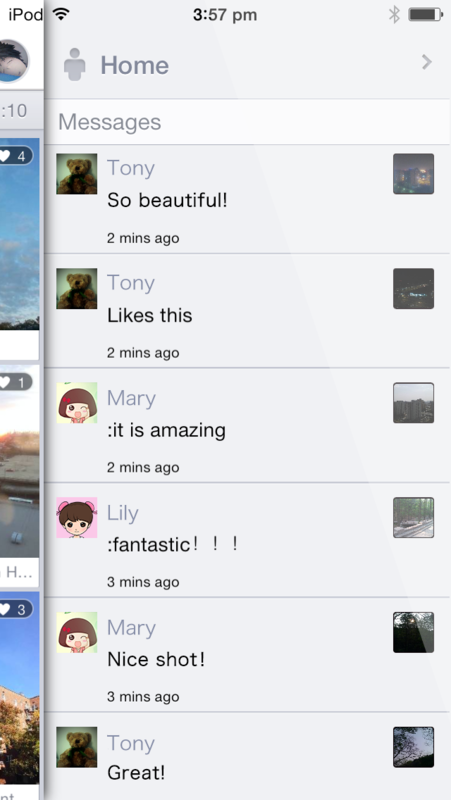 All-in-One social sharing hub. - Swipe vertically for updating reliable weather information. 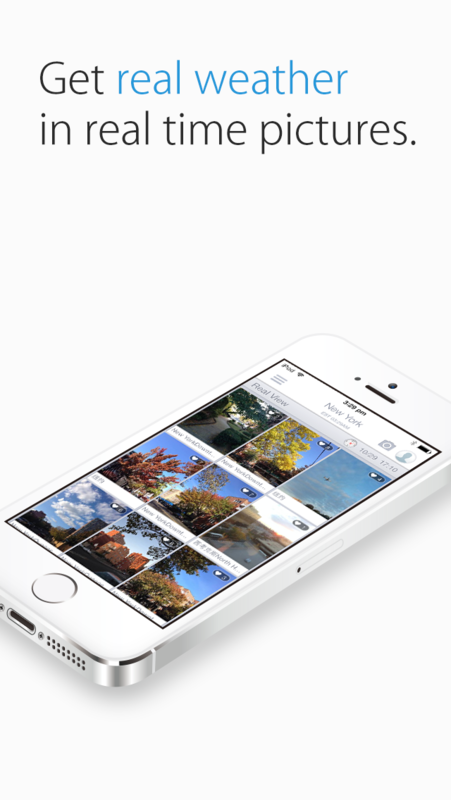 - Swipe to the left for organizing favorite locations list. - Submit photos on Real View page located next to forecast page. - Speak out in the hiding message box on Real View page.